Kangana Ranaut gives BOLD Statements on Bollywood Stars boycotting her film 'Manikarnika'. Sonam Kapoor explains her Reserved judgment on Rajkumar Hirani controversy. Sara Ali Khan reportedly rejects 'Baaghi 3' offer. Sidharth Malhotra confirms his break-up with Alia Bhatt. Kareena Kapoor Khan to have a dance number in 'Dabbang 3' as per the sources. 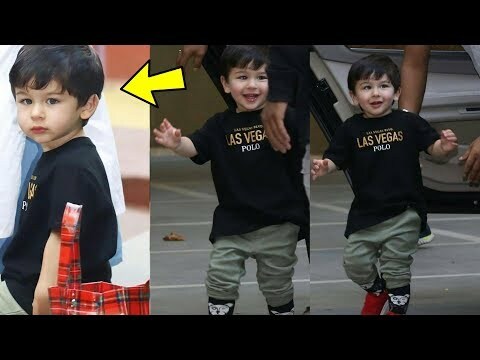 Taimur Ali Khan looking so confident for his first shot for his ad film. !